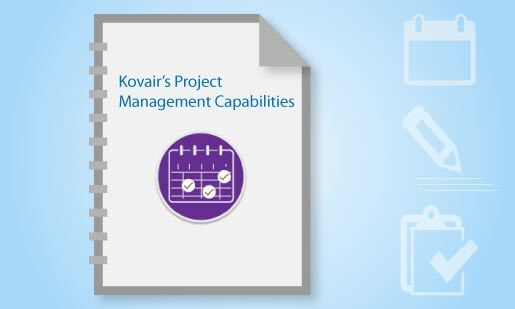 Kovair makes Project Management a simple affair by identifying, allocating, and deploying the right resources to the right project and thus automating the task completion in a timely manner. By using Kovair’s Project Management solutions, an organization can optimize the use of its available resources, save on time and costs, improve work efficiency, employee productivity, and ensure project success. Kovair’s integrated IT Project Management software is a web-based solution with a wide array of built-in features such as cost estimation, automated process aligned to the business, resource management, allocation of tasks to resources, timesheet to capture time details of task execution, reporting, and management visibility through Dashboard.